When the taxi pulled up outside WorldMark Vancouver – The Canadian on Hornby Street in Vancouver, a lady appeared on the pavement. I heard her say “Welcome to WorldMark, you must have just got off the cruise ship”. The WorldMark receptionist had looked out the window and seen the taxi pull up and saw us get out of the taxi. She came out into the street to greet us. This friendly receptionist made us feel most welcome. During my stay in Vancouver, I read in the Club’s Destinations magazine that belonging to WorldMark is like having relatives in 71 countries. This is how it felt when we were greeted in Vancouver. We had the feeling of being welcomed home by a long lost cousin. The lovely WorldMark Seattle – The Camlin historic hotel in Seattle provided for another comfortable stay where we were looked after by wonderful staff. WorldMark Kona, Big Island in Hawaii provided a taste of 11 different climates and geographical landscapes as we went around the island on a day trip. This crescendo of WorldMark places built up to a family holiday in Fiji. Wyndham Resort Denarau Island provided a vacation venue for all our family. Being able to provide a venue for all our family to be together for 2 weeks was a great time of family fellowship & fun. We enjoyed temperatures of 28 each day, while a huge snowfall was dumped in NSW, Australia. 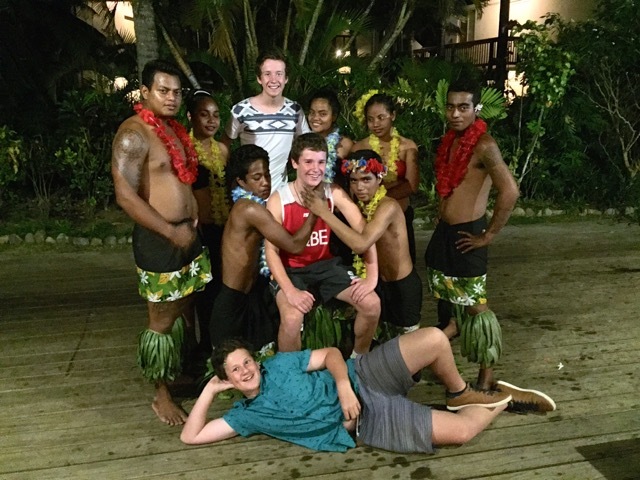 The friendliness of the Fijian people always adds to a stay at Denarau. Such an experience in 3 months could be possible with our WorldMark Vacation Credits. Thank you Wyndham for providing us with such excellent holiday facilities around the world. This entry was posted in (Fiji) Denarau Island, International and tagged Denarau Island, Fiji, holiday, timeshare, travel, USA, vacation ownership, WorldMark South Pacific Club by Wyndham, Wyndham Vacation Resorts Asia Pacific. Bookmark the permalink.